The County of Barrhead realizes how important recreation is to the social and physical health of its residents. We work to provide top-notch recreation facilities and programs to meet the communities needs and contribute funds to the Town of Barrhead for shared recreation facilities. With the County encompassing parts of the Boreal Forest, Natural Sandhills Ecological area, as well as three rivers and many lakes, there are many activities for outdoor enthusiasts. There are a variety of community and cultural events offered in the Town and County, including a minor mixed ball program, summer fun programs, trips, anniversaries, and fireworks. There are many urban and rural parks, as well as a paved walking trail that meanders through the Town and County along the scenic Paddle River. Currently, we are working in partnership with other municipalities to build a new Aquatics Center. There is also an outdoor splash park, bowling alley, tennis courts, curling rink, indoor mini-golf in the summer, indoor walking track, new top-of-the-line arena, and many active groups to keep other interests going strong, from dancing to judo to choir to community theater. We are well known for our local golf courses, the Barrhead Golf and Recreation Area, which has an 18-hole championship course, driving range and practice greens, RV and camp sites, full lounge and restaurant, and pro-shop. The Paddle River course is a 9-hole course with lounge, restaurant, and pro-shop. We also have a 9-hole golf course and OHV park, Batt Traps, just north off highway 33. In the winter, Misty Ridge Ski Hill offers downhill and cross country skiing and snowboarding, equipment rentals, outdoor skating rink, and a heated chalet with concession for those who wish to relax indoors while the family plays! 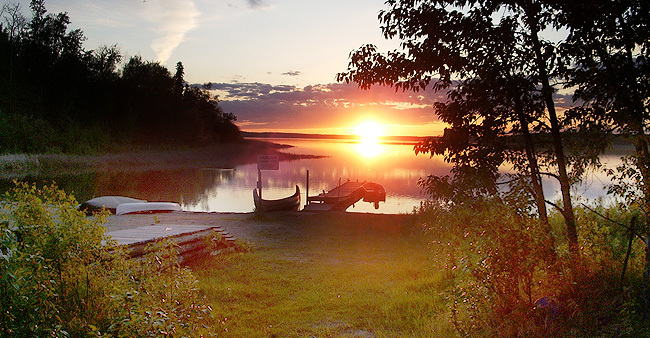 There are many lakes and camp facilities, available at Thunder Lake, Clear Lake, Dolberg Lake, Peanut Lake, Elks Beach, the Klondyke Ferry Crossing, and the Barrhead Golf & Recreation Area. See the Area Parks Page for details. There are many active local special interest clubs, from 4-H to quilting to the Art Club. For more information, please call our office at 780-674-3331. See Sports Venue Page for more details on facilities.